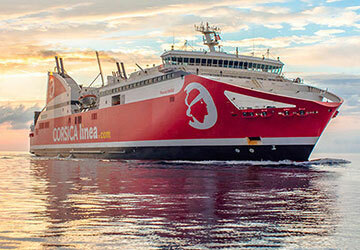 Corsica Linea embodies a new change of shareholders. In January 2016, Patrick Rocca was chosen as the new buyer under his subsidiary company, MCM. 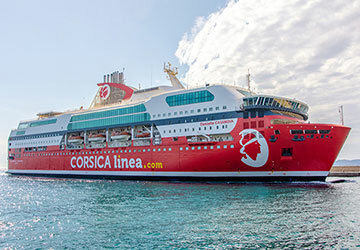 However, after months of legal controversy, a consortium of 15 shareholders under Corsica Maritima group took control of the company and decided to use a new name and different colours. 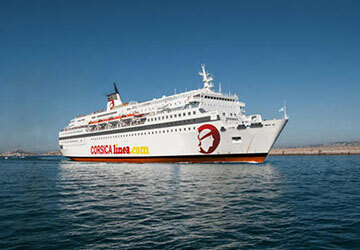 Your holiday starts the moment you step on-board Corsica Linea cruise ships. The vessels are well equipped with a range of cabins and their cruise ferry, ‘Danielle Casanova’ can transport up to 2200 passengers and 700 vehicles. 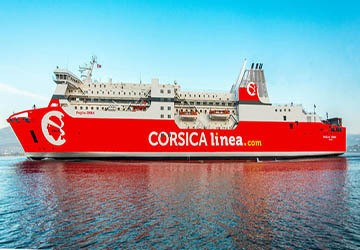 The Jean Nicoli vessel was the first redesigned ship under Corsica Linea colours and their logo also shows a Moor's head, the symbol of the Corsican flag. 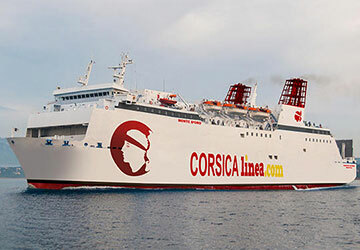 Use directferries.co.uk to find Corsica Linea timetables, prices and to book Corsica Linea ferry tickets. Looking for the lowest fares for your destination? 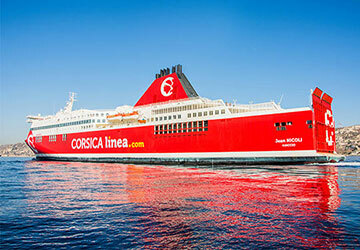 Don’t worry, we’ll also compare Corsica Linea with alternative ferry companies.